Front brakes have 100% remaining, and rear brakes have 50% remaining. Tires have 50% tread remaining. It has been well serviced and comes with a spare key. 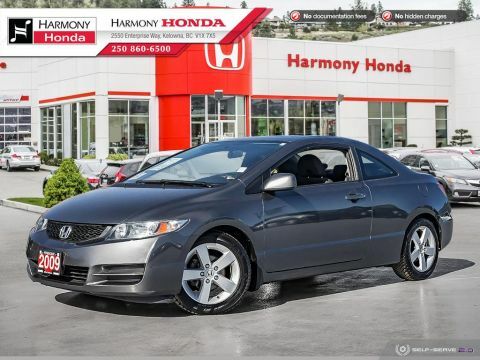 This One Owner 2012 Honda Civic Coupe is a Local Vehicle recently traded for a new CR-V. 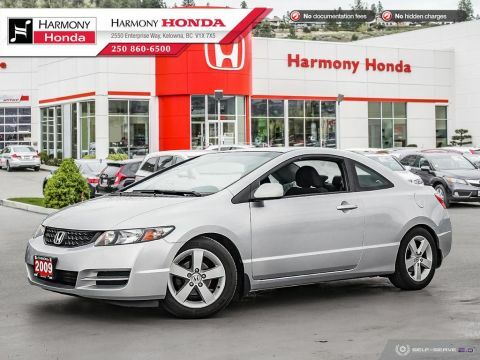 It comes with Sunroof and New Front Brakes and has a clean history with no accidents or damage. No Pets have been allowed inside this Smoking Free vehicle. 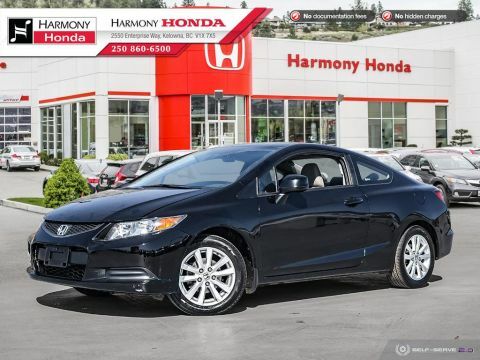 This FWD Coupe is coming with Eco Assist™ System, Air Conditioning, Cruise Control, Tilt Steering, Power Windows, Power Door Locks, Power Mirrors, Floor Mats, Alloy Wheels, Remote Keyless Entry, Sunroof, and more features. It has a seating capacity of 5 persons to accommodate the entire family. 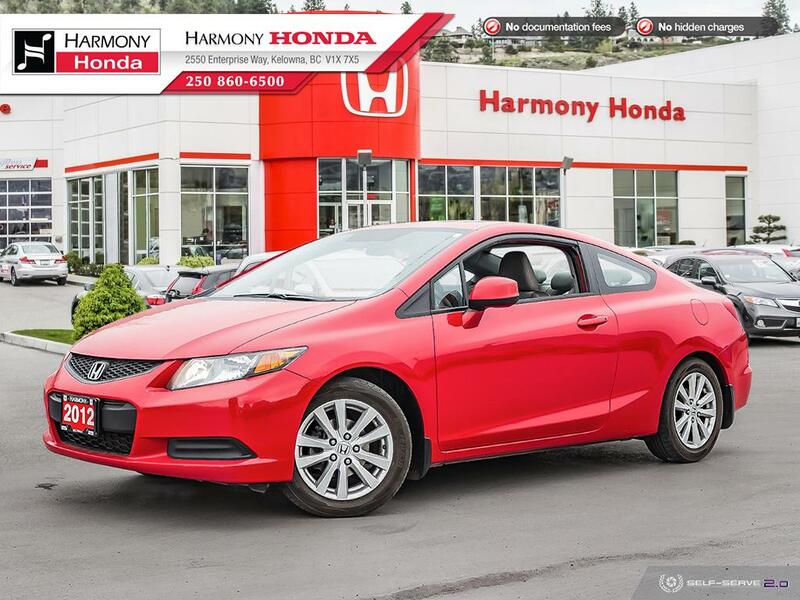 As Safety Features, this Coupe is equipped with: Dual Airbags (SIR), Side Airbags, Side Curtain Airbags, and Anti-Lock Brakes / VSA. For security and peace of mind, it comes with an Anti-Theft Device.